Dubspot is excited to join RAM Records to offer a chance to win an exclusive music production session with Bristol’s Drum ‘n’ Bass duo Loadstar in celebration of their single ‘Keeping Me High’ featuring the award winning Glaswegian synth band, Prides. Dubspot and RAM Records are teaming up to offer a chance to win an invitation to learn music production with Bristol’s Drum ‘n’ Bass duo Loadstar in celebration of their single ‘Keeping Me High’ featuring vocals from frontman Stewart Brock of the award-winning Glaswegian synth band, Prides. The winner will have an opportunity to join Loadstar for an exclusive learning session in an online video call using Google Hangouts. You will have a chance to learn professional production techniques, ask questions, gain music industry advice, and much more. Enter for a chance to win an invitation to join Loadstar for an exclusive music production learning session through Google Hangouts. Merging one of the most formidable drum & bass duos with an award winning Glaswegian synth band is a move which signifies Ram Records unbridled commitment to diversity. Breaking the prototype set up for an imprint reigning over one of electronic music’s most historical genres, Loadstar helps push the Ram sound into different territory. With the help of Prides, they offer up a blindingly emotive vocal roller which is sure to reinstate their title as production heavyweights. Utilising the vocals of Prides’ frontman Stewart Brock, his emphatic humanism leads you into the record on top of jungle breaks and elevating synth patterns. 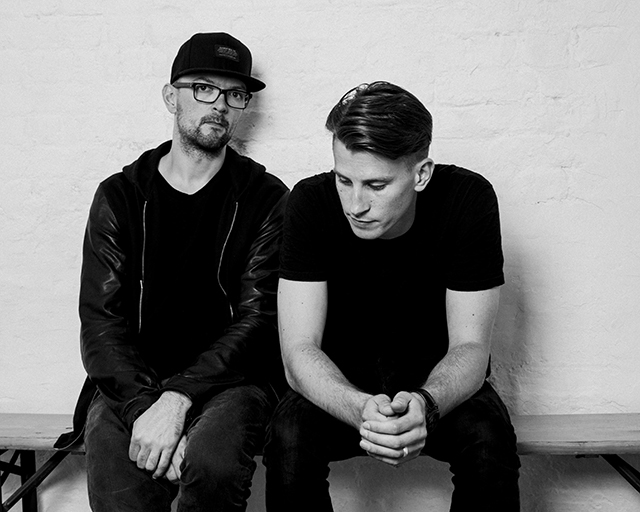 Loadstar bring their signature festival flair to their already stellar production standards. Pounding drum loops help underpin the composition, creating a driving force behind the record’s already huge impact. And amid live shows, a resounding debut album, the ‘House every Weekend’ bootleg which received a release after its reception and remixing the likes of Rudimental, Noisia, and Chase & Status, Loadstar have garnered quite a reputation already. Add this to an already impressive track record in their careers as solo artists, their return with this next single is hotly anticipated.